Chevrolet is supposedly considering developing a Nissan Juke competitor along with some new MPVs. 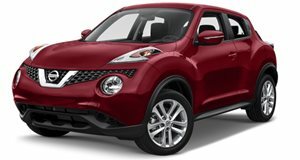 The Nissan Juke is a subcompact crossover that has been successful targeting the younger demographic of males, Chevy plans to give the Juke some serious competition. If Chevy goes through with plan, they would most likely follow in the company&apos;s entry-level Gamma architecture, which is currently being used for the upcoming Sonic. At present, GM calls for two new crossovers based on that same architecture with an MPV that seats seven and a new five seat crossover. The Juke rival would be an addition to those MPV&apos;s and would feature heritage Chevrolet design cues, very similar to the HHR. The engine would most likely be the same version used in both in the Cruze and Sonic, which is a turbocharged 1.6-liter four-cylinder engine that produces 188 horses. At the moment, the MINI Countryman is the closest rival to the Nissan Juke. The Countryman is powered by a turbocharged 1.6-liter inline four-cylinder engine that includes a twin-scroll turbocharger and direct-injection to produce an output of 181hp and 177 lb-ft of torque.